Keo Motsepe is a South African dancer, famous for his Ballroom and Latin mixed dance. He is well known for being the first black professional dancer on the ABC show Dancing with the Stars, and the Burn The Floor World Tour. Keoikantse Motsepe was born on December 4, 1985, in Pretoria, South Africa. He was raised nearby Johannesburg area and grew up with two sisters. Keo father was a business person whereas his mother was a doctor, who encouraged him to study medical science. His parents separated when he was just the age of 10. Keo has been swaying to the rhythm of his emotions since the age of five when his best friend brought him to the small, neighbourhood dance studio, whic later became the launching pad for his love affair with Latin Ballroom Dancing. 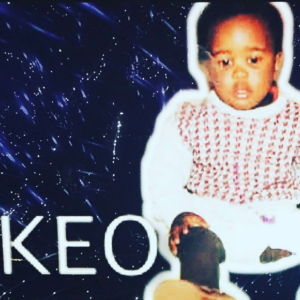 The youngest performer in the modest studio, Keo knew instantly that this was what he desired to do with his life, “I tried soccer for a while before a friend said to me ‘this is not for you’,” he explains with a laugh. “But the second I found dance, I knew I had discovered my life’s ambition.” His maternal uncle runs a successful dancing school who motivated him to dance. At the age of 11, he joined the competitive amateur dance scene, representing his country in international Latin Ballroom dance competitions and managing for eight straight years as the South African Latin Dance Champion. Having spent his youth introducing the amateur dance scene ablaze, in 2012 he was invited to join the cast of the internationally acclaimed, theatrical dance sensation "Burn the Floor". His electrifying movements soon captured the attention of producers and soon he was named the cast’s male principle dancer, hand-picked to perform as a soloist during the show’s residency at the Shaftesbury Theatre in the West End. In 2014, Keo toured with Burn the Floor as a principal dancer on the Australian and Japanese tours. He also worked on their weekly productions aboard Norwegian Cruise Line’s “Getaway” cruise. After making the history of becoming the first South African to join the Burn the Floor world tour, he made history once again by becoming the first South African to join Dancing with the Stars. Keo debuted on TV, performing on Strictly Come Dancing South Africa in 2013. In June 2014, during his tenure in Australia with Burn the Floor, Keo had the opportunity to audition for ABC’s Dancing with the Stars. One month later, Keo got the call that not only would he be joining the show, but that he had been selected as one of the Pro Dancers for the 2014 season. Keo Motsepe was teamed up with Olympic athlete Lolo Jones in the season 19 and the celebs grabbed 13th place in the competition. Furthermore, he paired along with model, Charlotte McKinney in season 20, singer, Chaka Khan in season 21, actress Jodie Sweetin in season 22 and actress & comedian Charo in Season 24. Keo Motsepe is often linked with his co-partners of the program, Dancing with the Stars but the rumours never get a ground to be justified. Out of all rumours, the story about him dating Emma Slater flared in the media like a wildfire in 2015 but didn’t turn out to be real. In his spare time, Keo opts for a quiet escape from the roaring excitement of his professional life, “I’ve become obsessed with a few really good TV shows, so that keeps me busy when I’ve got time off,” he says with a smile. “Los Angeles, being my new home, I plan on doing a lot of exploring. So far, it’s been nothing short of remarkable.” He can speak the multi-language like Sesotho, Pedi, Africans, Setswana, a bit of Zulu and English. The dancer loves cooking and playing football and his favourite country is Japan. The 6 stars also active on social networking sites. The salary of this celebrity has $300 Thousand, which adds up his estimated net worth around $ 2 million. His income source mostly hails from his dancing career. He holds a South African nationality and belongs to black ethnicity.